The Australian Championships is one of the highlights of the National Tour. The tournament consistently attracts Australia’s best competitors and the largest number of players across all divisions. This year’s tournament is being held at Sydney Olympic Park from 25-27 November. After coming so close in previous years, Ricky Wysocki has finally claimed the most coveted trophy on the world stage. In an incredible comeback, Valarie Doss is the new World Champ, winning her fourth World title. Australian Disc Golf’s first ever representative team is competing in the PDGA/WFDF Team Disc Golf World Championships in Vancouver, 18-21 August 2016. The Australian Championships presented by Innova takes place at Poimena 20-22 November. Tasmania has one disc golf course; this is not enough, we want more! The prospect of a second course is increasing as Discology’s Richard Sampson has had some encouraging meetings over the last few months. A number of Greater Hobart councils are expressing interest to install a public disc golf course. Also, a wilderness camping operator in the Huon area is very interested to introduce disc golf to it’s range of activities for guests. Watch this space for new course updates. 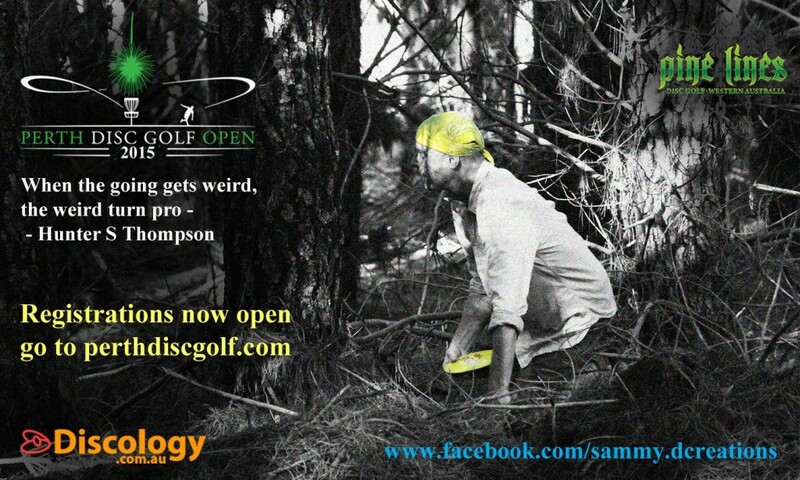 For disc golf course enquiries, contact Richard at Discology. Perth Disc Golf Open sponsored by Discology. June 19-21, Pine Lines, Gidgegannup, WA. Where: Temporary course at Clonlea Park, Gawler. Pre-registration is required as maximum player capacity is 45. The course will not be set up on Friday 22nd, however will be completely marked out for people to walk around if they wish. The players dinner on Saturday night will be hosted at the Prince Albert Hotel Gawler. It’s only a few short blocks from the caravan park, great food, plenty of beer and cider on tap and John G. has been a great supporter of our past efforts so please come along and enjoy a night out with everyone. Competitors from across Australia will be heading to Hobart on 13-15 March for the Two Heads Open presented by Discology. This is the 8th year Poimena Reserve Disc Golf Course has hosted the tournament and the 8th year Discology has been the main sponsor. Poimena is considered one of the best courses in Australia and this year players can expect a few surprises. Event organisers, Hobart Disc Golf Club, will be unveiling a few course changes for Two Heads which will lengthen the course from par 58 to at least a par 61. In November 2015, Poimena will be hosting the Australian Disc Golf Championships. Many of Australia’s leading players will be using Two Heads to get in some valuable preparation for the Nationals. Any disc golfer can compete in the Two Heads Open, there is no pre-qualification and all ages and experience are welcome. Two great companies, lots of great plastic. 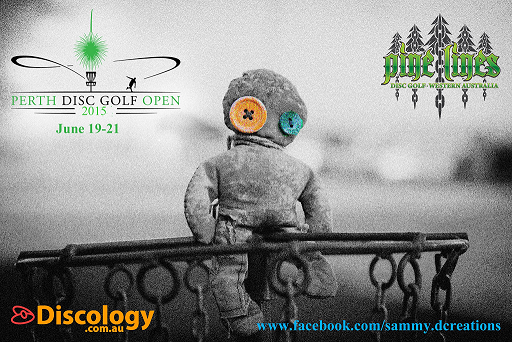 Disc golfers from all corners of Australia are making a beeline for Hobart in March to play on Australia’s oldest course and take part in Tasmania’s biggest tournament of the 2014 season. Now in its 7th year, the Two Heads Open presented by Discology takes place from 14-16 March at Poimena Reserve Disc Golf Course in Austins Ferry, near Hobart. The Poimena course has a special place in the hearts of many players in the Australian disc golf community, not just because it’s the Country’s oldest course, but because they enjoy playing it so much. The Two Heads Open has been a regular on the Australian National Tour since 2008 and has steadily been building a reputation as one of Australia’s best disc golf weekends. The tournament is open to anyone, regardless of playing experience or ability. There are player divisions based on skill level – Recreational, Advanced and Open. There are also divisions based on gender and age – Junior, over 40s and over 50s. There is a random doubles competition on Friday 14th and the tournament in earnest begins on Saturday and ends on Sunday. Players have the choice to play all three days, two days, one day or just one round.